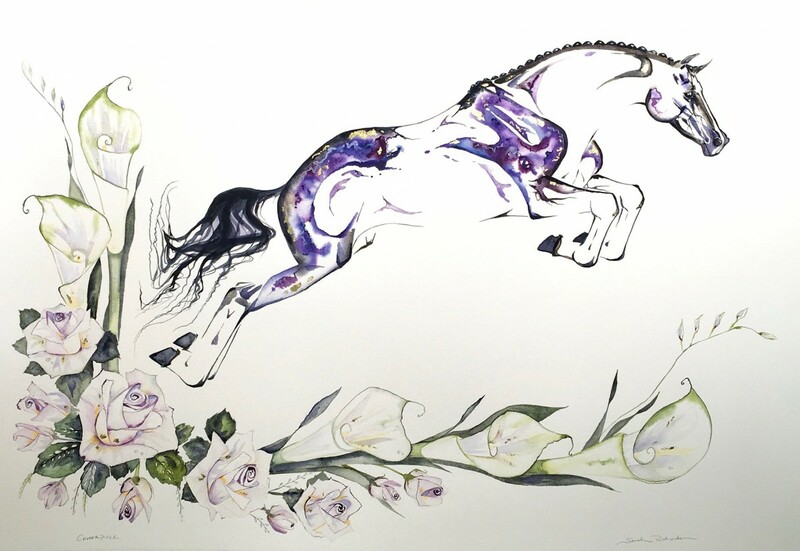 Using watercolors and a seemingly limitless imagination, Sarah’s incredibly unique style come to life in her equestrian art. Whether she is drawing from her knowledge of the anatomy of the horse, her study of jumping, wild horse behavior or classical dressage, you will see great attention paid to the movement and spirit of her subjects. In a style that has been called “unique, passionate, soulful, and powerful”. Sarah creates one of kin images that are admired world wide.